I am thrilled today to welcome Denise Levenick to The Armchair Genealogist. 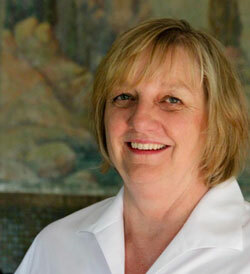 Denise is the author of How to Archive Family Keepsakes . I've been talking a lot about getting organized this January. Not only because it's that time of the year, New Year's goals bring it out of us but as well many of you are preparing to write The Family History Writing Challenge. Yesterday, I talked about what a wonderful tool this book will be in helping you get ready to write. Today, Denise and I are going to talk organizing your family history stuff because we all know it can be monster. 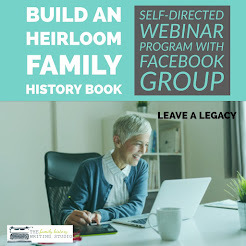 Grab a coffee, pull up a comfy chair and join me for a conversation with Denise, as we explore her new book, How to Archive Your Family Keepsakes. Hi, Lynn. Thanks for inviting me to visit with you at The Armchair Genealogist. I think we share quite a bit in common, both a love of family history and a love of writing. I guess you could say that The Family Curator was born long before the blog. It seems like I’ve been the keeper of our family “stuff” forever. Actually, I didn’t inherit my first family collection until about 1998 when my mom gave me the contents of her mother’s old trunk. It had been filled to the top with papers, photos, and all kinds of stuff. I started The Family Curator Blog in 2007 as an online web journal as I worked to find the best way to organize and preserve my Grandmother’s keepsakes. And here we are nearly six years later, and I’m still working with that incredible legacy. 2. After reading your book, I can only image that your archives must be picture perfect. Clearly you are the kind of person who likes an organized environment, have you always been this way or do you believe it is a learned trait? 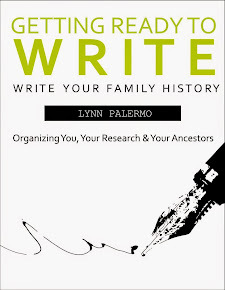 How can your book How to Archive Family Keepsakes help those of us who are inherently disorganized with our genealogy stuff? LOL, Lynn. As much as I love an organized environment, that’s not to say it’s easy, or that my archives are perfect all the time. I find I am so much more productive when I can find the tools I need; I learned that from my contractor husband. To be honest, my best trick for getting (and staying organized) is to keep the Big Picture in mind. I want to honor my mother’s and my grandmother’s treasures, and I want to uncover the stories they hold. I can’t do that when everything is scattered everywhere. My book outlines the process I used to sort my family keepsakes, and then to organize for preservation and research. Plus, it makes sharing with relatives so much easier! 3. When I first sat down to read this book, I didn’t really think I fell into your target audience. I haven’t inherited a lot of ‘stuff’ from my ancestors. However, I soon realized this book is written for more than just the genealogist with a large archive to manage. Can you explain to our readers who all can benefit from your book? It’s surprising what a difference a few years make. I never dreamed I would be the caretaker of so many family archives, either. It happened slowly. My mother passed on my grandmother’s things, and then it seemed the word was “out.” I’m now the keeper of seven family archives. Although not everyone is in my situation, any family historian probably has both original and working documents to deal with. 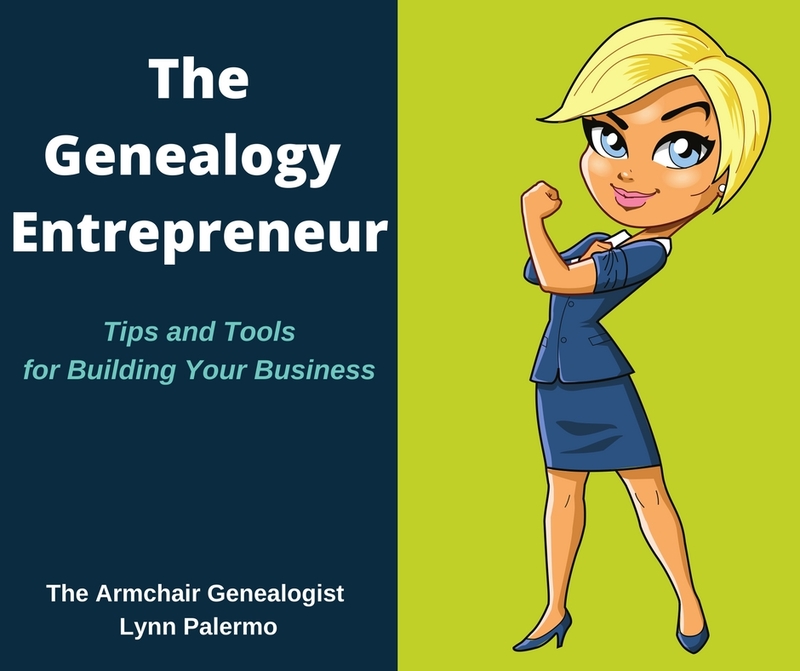 My book offers techniques to help anyone who wants to move toward a digital genealogy office, wants a simple research filing system, or wants guidance on how to organize and preserve family keepsakes. 4. One of things I know about myself and probably many can relate, I love to hunt for my ancestors and I love writing their stories, and while I love being organized, I hate the process. I hate scanning, I hate filing. They are mundane tasks I can’t get excited about. I get excited about the outcome, and reading your book excites me to produce that outcome but when it gets down to the work that’s another story. What do you recommend for those of us that want to get there but find it a chore? How do we make this process more fun and something we will want to do? All I can say is to keep The Big Picture in mind. I’m with you, Lynn. The thrill of the hunt is much more fun than scanning and filing. So, make those boring tasks less of a chore. I get energized when I log into a Scanfest with Miriam Midkiff at Ancestories.com or Caroline Pointer of 4YourFamilyStories.com. Make a game of it and post your scanning progress on your blog or FaceBook page. Just Do It, and then enjoy the results. 5. There’s a lot of information packed into this book and I can really see how after reading it through the first time it gives me a lovely big picture of what my archives could potentially look like. I can also see myself using it as a reference book time and time again as I acquire more stuff and get my current research in order. How would you recommend a reader use your book? Thank you, Lynn. I really tried to make this book useful to family historians at every level of experience. If it gives you a “lovely big picture” of your end result, that’s great. I find that starting with a clear-cut goal is the surest path to success. I suggest readers of my book start where where they are. If you don’t really have a lot of keepsakes to store, flip right to the section on working with your research, paperwork, and citations. If you need help storing artifacts, use the reference section for guidance on preservation techniques. If you are overwhelmed by mountains of stuff, as I was, you may want to work through the section on setting up an archive step-by-step. I designed my book as a handbook and hope it becomes a go-to reference tool. 6. One of the nice things about this book is it is practical. It really is a hands-on book. It offers a great deal of tools to work with to get the job done. I’m a visual person so I like the tangible tools you offer in this book. If I enlisted the help of only one of the tools in this book, which one would you recommend? Thanks, Lynn. My goal was to write the book I was looking for when I inherited my grandmother Arline’s trunk and thought, “Now what?” If by “tool” you mean which checklist, chart, or worksheet I find essential, it would have to be the Scanning Guidelines chart in Chapter 9: Organize and Digitize Your Paper Documents. That chart grew out of my own need for a handy cheatsheet I could post over my scanner. It lists archivist-recommended scanning resolution (DPI), color setting, and format for different kinds of scanning tasks, including maps, quilts, tintypes, documents, and various photo formats. I still refer to this chart regularly. 7. Do you agree that many brick walls, not all but many could be the result of poor organization? How can one identify if their lack of organization skills may be the culprit in tearing down those brick walls? I agree, Lynn. Anyone who has caught herself viewing the same microfilm or book over and over can recognize the value of working with a plan. It’s helpful to use the same approach whether you’re researching in your home archive or in a library: make a plan and work through it, recording your progress as you go. That’s why Part 3 of my book: Root Your Research in Strategies for Success includes four chapters on starting off well-organized and primed to break through brick wall problems. 8. 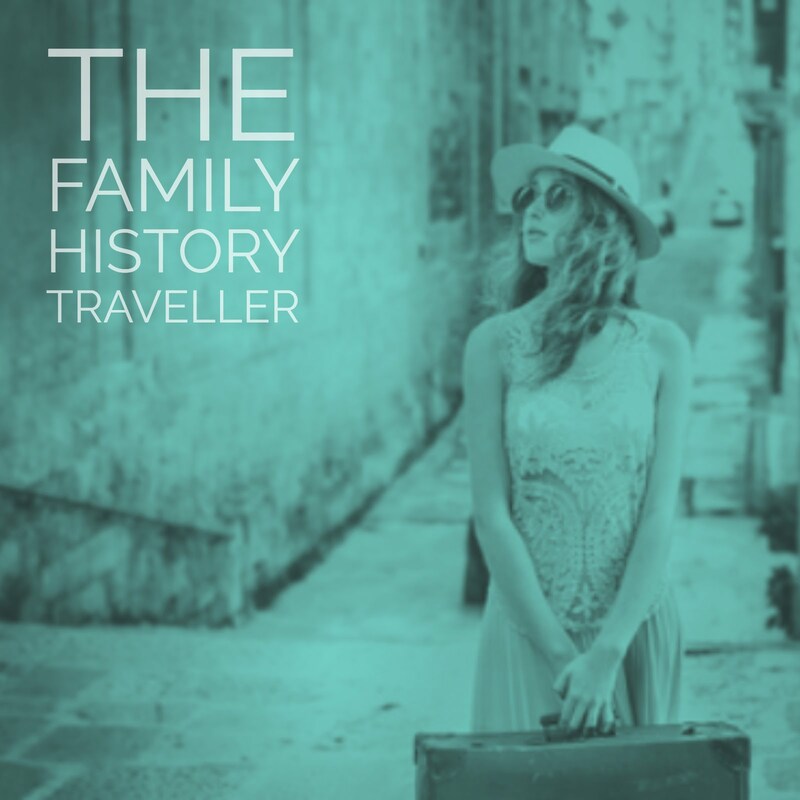 I spend a lot of time on this blog encouraging my readers to write their family history. I know that one of things that holds many back is not really having a grasp on what they want to write because their research lacks organization, can’t see the forest for the trees scenario. 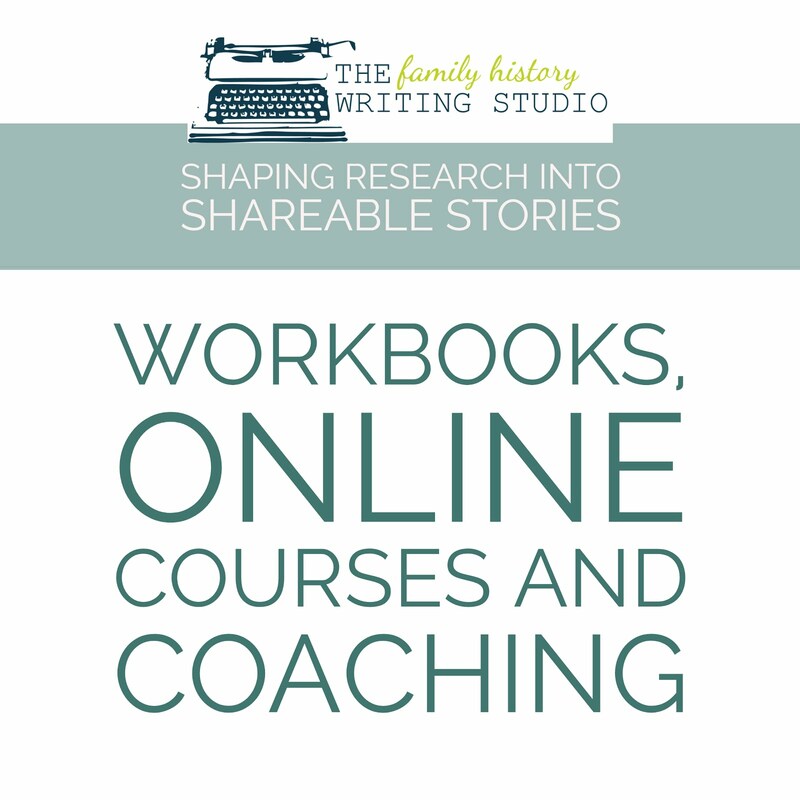 What would you recommend to a family historian who wants to get on with their writing quickly but does not want to spend a lot of time getting the files organized? Let’s get creative. Find something – a photo, a marriage license (original or copy), even a census record. Set it up on your desk and look at it. Let your ancestor’s life speak to you and start writing. Just start writing. If you are worried about the paper piles and mountains of memorabilia, try this trick: buy archival bankers’ boxes and office supply bankers’ boxes. Carefully place your heirlooms inside the archival boxes and store them in a location with moderate temperature and humidity. They’ve lasted decades already, and with care they should last a bit longer. Pick up all the loose paper (we’re talking about working papers, not heirloom originals) cluttering your office and desk and place them inside the office supply boxes. Sort and deal with the paper when you’ve written your first ten or twenty pages. Go back to your desk, look at that photo or document -- and write! 9. I love that you address both paper and digital files in this book. I think when we think archives and keepsakes our mind tends to think paper and collectibles. How can we marry both our digital and our physical files so we can keep track of what we have? Should we digitize everything? It would be quite a challenge to digitize everything. I see myself as a fan of less paper rather than no paper. I love paper. I love books. They have substance, weight, smell. And books and paper do last a very long time with care. My goal is to digitize heirloom originals to create a Master Copy that will survive if the original is damaged or lost. I never discard original heirloom documents. In Part 2: Break the Paper Habit, I review scanner options, discuss best practices for file formats and file-naming, and share ideas for organizing the genealogy paper files you decide to keep. 10. The technology era has brought a new concern in passing on our archives to our children. For the first time, our children will inherit digital files not just paper. I think of how many computers must be wiped clean everyday because children don’t think to save their parent's digital files. What do you recommend we do today to ensure that our children are aware of what is on our hard drives and worthy of saving? I’m so glad you asked about the future of our research; it’s been on my mind lately, especially since my own mother passed away. No one really likes to talk about it, but we have to ask: What will happen to our family keepsakes when our own research days come to an end? We may have genealogy research, family heirlooms, and online activity that will all be orphaned when we’re gone. It’s wise to consider a Genealogy Estate Plan and add notes to our own estate planning. In Chapter 5: Organize for the Future I outline how to find a suitable repository if you wish to donate your heirlooms and research. I’ve also included two useful forms to help you make your wishes known to your heirs: a Genealogical Codicil Form and a Digital Assets Codicil Form. These can be used to insure that your work is available to future researchers, and relieve your family of some difficult decisions. 11. For those new to family history and just starting their filing system or for those looking to get more organized, can you recommend a few quick tips they can start today so everything they research from this day forward will be more organized? When moving toward less paper and more digital files, I suggest that family historians adopt a Digital Birthday: from this day forward working papers are found in digital format, older papers are still in stored as physical paper. A researcher could adopt a Filing Birthday as well. Pick a meaningful date, a birthday or holiday. Make it a habit to file and organize your papers and research moving forward. As you have time, work to organize older items, but continue with your work knowing that if you are looking for an item before the Filing Birthday it is likely to be in an old filing system, or maybe just a box of loose papers. Anything created after your Filing Birthday should be found in your new system, what ever that may be. 12. 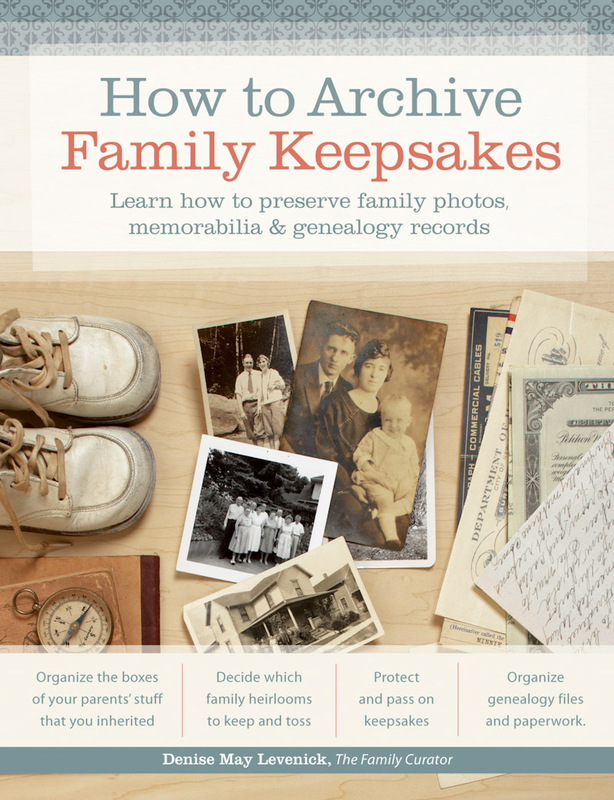 What one thing would you hope readers take away from your book How to Archive Family Keepsakes? My goal in writing this book isn’t to present a rulebook or standards guide. Professional archivists are much better qualified for that task. 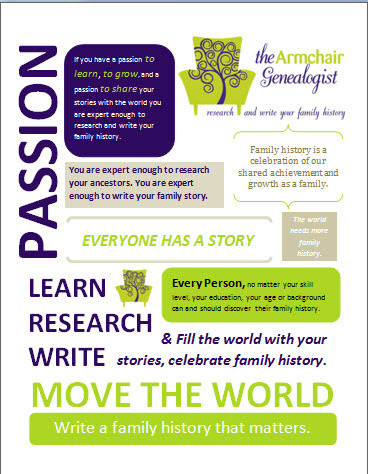 Instead, I hope my own story – and the lessons I’ve learned – inspires family historians to preserve their inheritance and encourages their efforts in genealogical research. I can do it, you can too! Thank you Denise for a great chat. If you have any questions for Denise or want to share your thoughts on organizing your archives be sure to leave a comment. If you leave a comment to today's post, your name will be entered in a chance to win an archival kit. Lucky winners will be announced each Saturday during the tour at The Family Curator. 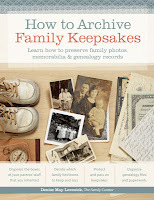 And by all means be sure to pick up a copy of Denise's book How to Archive Family Keepsakes . You will not be disappointed. Proceeds from the sale of How to Archive Family Keepsakes during the Book Tour will help fund the 2013 Student Genealogy Grant founded in 2010 in honor of Denise’s mother, Suzanne Winsor Freeman. In every family, someone ends up with “the stuff.” Denise May Levenick is a writer, researcher, and speaker with a passion for preserving and sharing family treasures of all kinds. She is the creator of the award-winning family history blog, The Family Curator www.TheFamilyCurator.com and author of the new book How to Archive Family Keepsakes: Learn How to Preserve Family Photos, Memorabilia and Genealogy Records , (Family Tree Books, 2012).